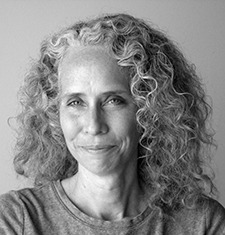 Wendy Walsh is an editorial photographer who specializes on in-depth photo essays of social issues. Her work has been published in a variety of publications including the New York Times, Doubletake, Sports Illustrated, Forbes, Glamour and The Columbia Journalism Review. She has completed major documentary projects on the state of rural health care in New Mexico and curing treatable blindness in Nepal. Her work has been exhibited in several individual and group shows including the Palace of the Governors in Santa Fe, New Mexico. Wendy has also taught over twenty workshops as an instructor with the Santa Fe Photo Workshops, and she designed and taught the first courses for teenagers there. Her ongoing project, “Hoods, Jocks, Preppies and Freaks: The Tribes of Teenagers,” was awarded the Willard Van Dyke Memorial Grant in Photography. Now Wendy has her own tribe of three children including a teen who is part Jock and part Mathematician, a daughter who insists on approval of holiday card publications (toughest editor yet), and an eight year old who plays violin and invents a lot of cool stuff.